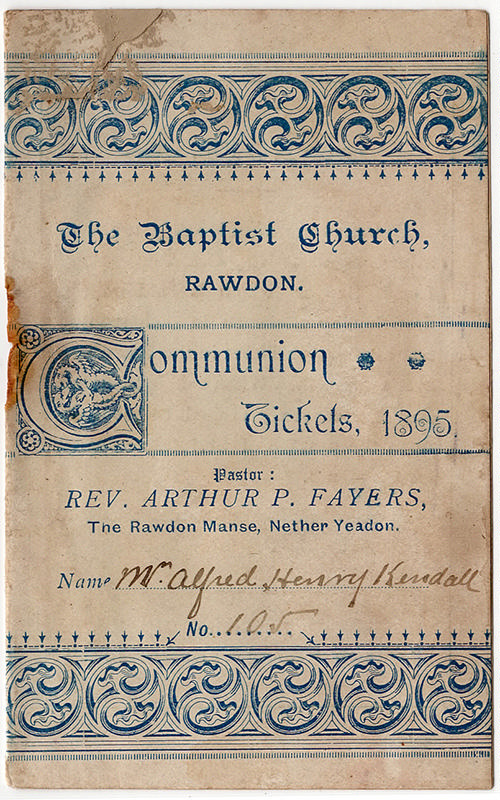 Booklet of monthly communion tickets that cover the year 1895. 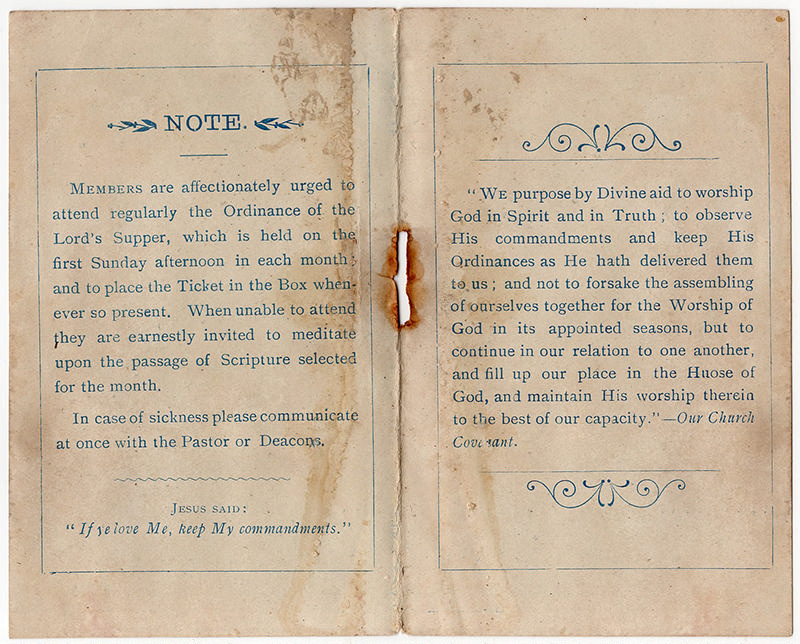 These are from the Baptist Church in Rawdon, Leeds, England. There are no month tickets inside.